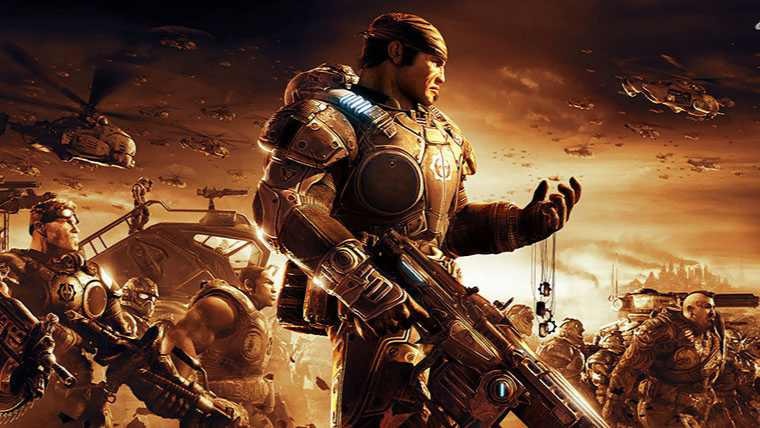 Meanwhile, the team warned that there could be some disruption to Gears of War 4 servers during the update. Additionally, avoid buying any pack as Gears Packs won’t be updated with Series 2 (Update 3) loot for several hours after the update launches. Check out more details below. Gears of War 4 Series 2 is coming with two new maps and new Gear Pack content will deliver hundreds of new Cards to collect. Players leaving a Core/Competitive game early will now be suspended from matchmaking. Players can rejoin a Core/Competitive match within 5 minutes of being dropped or quitting from an option in the main Versus menu. Rejoining and completing a match will remove the matchmaking suspension time. Added functionality to display matchmaking suspension time (including to your Squad Leader). You will not be able to matchmake if your Squad contains a suspended user until their suspension has completed. Gears of War 4 Update 3 (Series 2) brings far more information for viewers to follow the action, while reducing the real estate taken up by Player Cards to make them more viable for use when streaming tournaments. Player Cards have been re-designed to take up less visual space. Player ammo and reloads are now visible in the Spectator Mode UI. Crosshairs are now visible to Spectators. Respawn timers are now displayed on Player Cards. Weapons holstered onto a player’s back can now be seen in Spectator Mode . ‘K’ keyboard button now removes spectator inputs UI and/or the black bar altogether. ‘L’ keyboard button toggles Player Cards to the far edges of the screen or normal positioning. ‘V’, ‘B’ and ‘N’ keyboard buttons now jump to specific Escalation hill battle cameras. Fixed an issue with X-Ray vision not rendering as intended. Fixed the ordering of players in Competitive UI to match the Lobby Order. Pressing B while holding Jump Cam now cancels a pending Jump Cam. Added new mapping for specific face buttons for specific camera modes, listed below: Gamepad ‘A’, Keyboard ‘Z’ -> Switches to Player or Follow Cam. If already in Player Cam, switch to Follow Cam and vice versa. Last used mode is saved as your preference when switching back to Player/Follow Cam from other modes and when using the Jump Cam Gamepad ‘X’, Keyboard ‘X’ -> Switch to Ghost Cam Gamepad ‘Y’, Keyboard ‘C’ -> Switch to Battle Cam. Skill ranking will now be visible again at the end of match scoreboard. Added ‘Spawns Swapped’ UI when spawns flip in Versus. Increased the Energy cost of the Hammer of Dawn Strike in Horde. Increased Escalation Win and Loss bonuses. Increased Escalation Win Bounty Rewards. Tuned criteria and rewards for King of the Hill Bounties. Fixed an exploit that allowed players to teleport Energy to their position in Horde. Squad Members can immediately see when they have been removed from a Squad. The ‘Horde Skills’ UI Notification alerting you to new skills now works correctly. Horde Skill cards can now be equipped and unequipped in the Horde Skills inventory. Added UI notification to show new Cards in your collection when opening Gear Packs. Improved UI on Turret Heat bar. Improved performance when switching tabs in Card view menus. Added slider to control how long text chat remains visible after a message. The Longshot can no longer shoot through walls if positioned through a 90 degree corner. Added a Duplicates Only filter to the Inventory Menu. Fixed an issue where audio slowly cut out in Horde. Fixed an issue allowing grenade effects to continue into the next round in Versus. Removed an exploit allowing users to break the map boundaries in Horde on Foundation. Fixed an issue that allowed players to respawn out of the map boundaries in Horde. Fixed an issue where offline customization would reset if user changed characters.